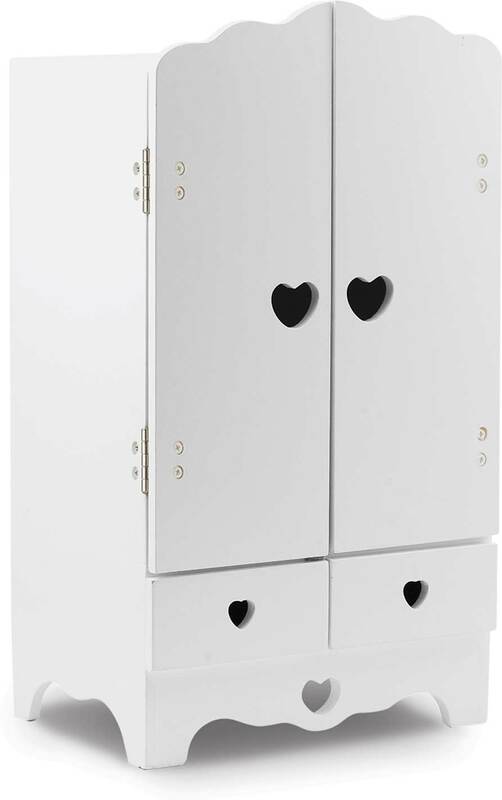 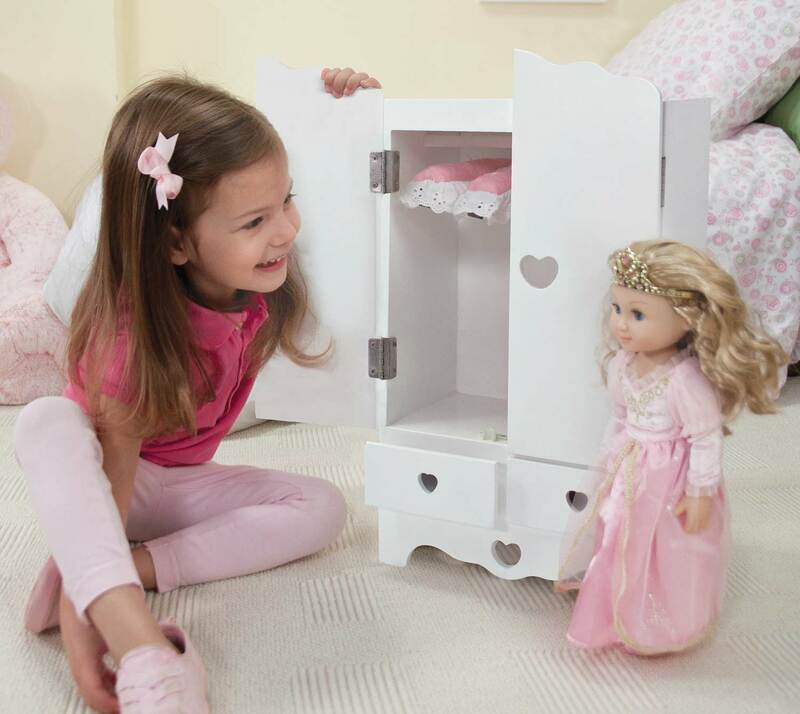 With enchanting details like heart cutouts and lace-trimmed padded hangers, this wooden armoire is ideal for storing doll clothes and accessories! 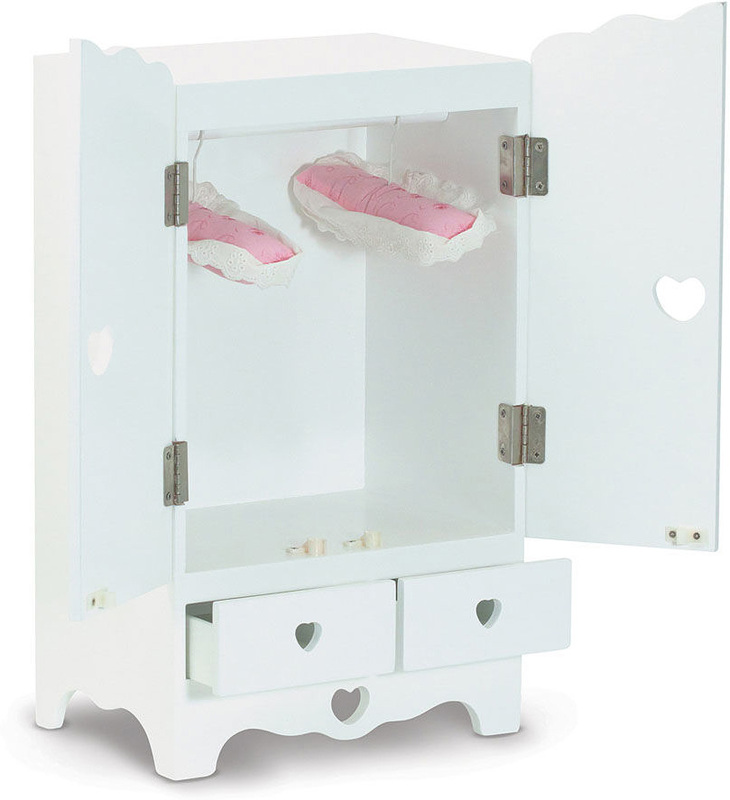 The sturdy wooden wardrobe features latching doors, 2 working drawers, and a sturdy hanging rod. 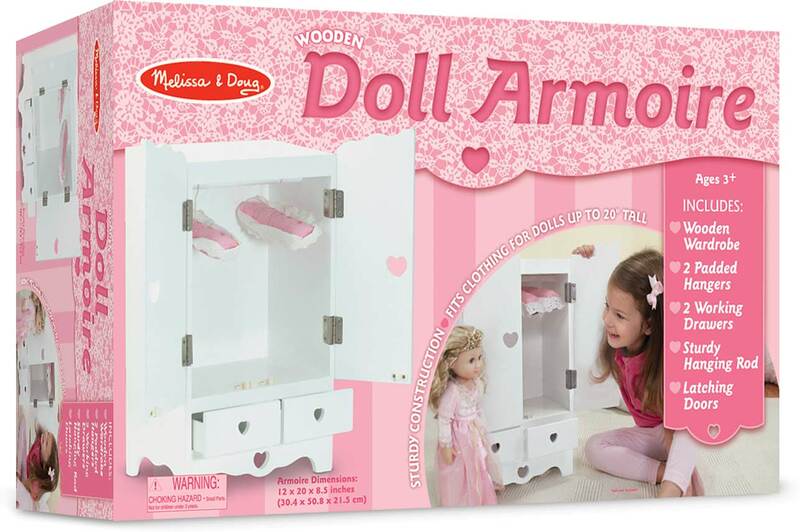 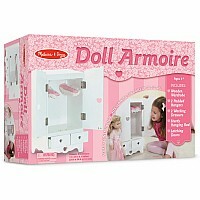 Accommodates clothing for dolls up to 20" tall. 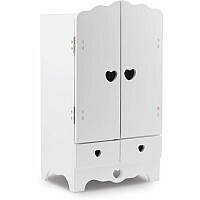 Measures approximately: 23.50 x 14.20 x 10.80 inches..